Play the "Pop a bubble" game. Pop to reveal 2 bubbles showing the same Liese product. Every friend you successfully invite and who takes part in the contest earns you one additional chance to 'Pop' the bubbles per day. 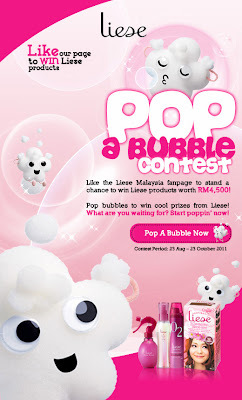 Visit Liese Malaysia Facebook fan page for more detail.